The END is coming for Disney movies in 2019. AVENGERS: ENDGAME and STAR WARS IX promise the end to long running stories that have taken up more than a decade for the Marvel Cinematic Universe and over 40 years in the case of the Skywalker Saga. 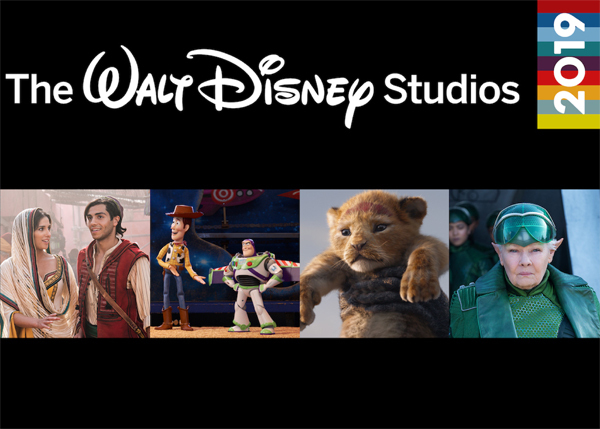 In addition to the Marvel and Lucasfilm blockbusters, the Walt Disney Studio brings us three live-action remakes of classic animated films DUMBO, ALADDIN, and THE LION KING as well as the fourth edition of the TOY STORY franchise. Below you’ll find the descriptions, release dates, and links to our individual pages for all Disney movies in 2019. We’ll continue to add images, news, and trailers to each film’s individual page as we get more information. So take a look below and let us know what Disney movies in 2019 you are most excited about. Agent Coulson LIVES as we go back to the 1990’s to learn the story of one of the universe’s most powerful heroes, CAPTAIN MARVEL. 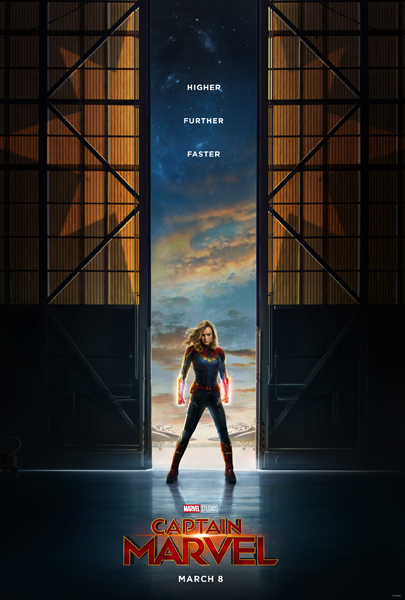 Carol Danvers (Brie Larson) transforms from Air Force officer to Captain Marvel, and gets swept up in a galactic war between two alien races – the Kree and the Skrulls. In addition to Agent Phil Coulson (Clark Gregg), many familiar faces return to the Marvel Cinematic Universe including Nick Fury (Samuel L. Jackson) and members of the Kree alien race, Ronan (Lee Pace) and Korath (Djimon Hounsou). Jude Law joins the Marvel Cinematic Universe as Walter Lawson/Mar-Vell, Leader of Starforce. Marvel Studios’ CAPTAIN MARVEL kicks off Disney’s year on March 8, 2019. 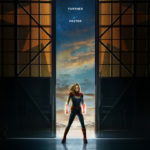 Click here for our spoiler-free review of Marvel Studios’ CAPTAIN MARVEL. 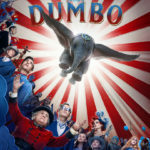 The live-action remake of Disney’s classic 1941 Oscar-winning film DUMBO is re-imagined by director Tim Burton. Teaming up with frequent collaborators Michael Keaton and Danny DeVito, Burton extends the original story where differences are celebrated, family is cherished and dreams take flight. In this version, circus owner Max Medici (Danny DeVito) enlists former star Holt Farrier (Colin Farrell) and his children Milly (Nico Parker) and Joe (Finley Hobbins) to care for a newborn elephant whose oversized ears make him a laughingstock in an already struggling circus. When they discover Dumbo can fly, persuasive entrepreneur V.A. Vandevere (Michael Keaton) recruits the peculiar pachyderm for his newest, larger-than-life entertainment venture, Dreamland. Disney’s DUMBO opens March 29, 2019. Click here for our spoiler-free review of Disney’s DUMBO. Disneynature’s all-new feature film PENGUINS is a coming-of-age story about an Adélie penguin named Steve who joins millions of fellow males in the icy Antarctic spring on a quest to build a suitable nest, find a life partner and start a family. None of it comes easily for him, especially considering he’s targeted by everything from killer whales to leopard seals, who unapologetically threaten his happily ever after. From the filmmaking team behind BEARS and CHIMPANZEE, Disneynature’s PENGUINS opens in theaters nationwide in time for Earth Day 2019. 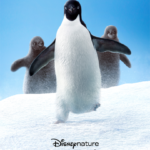 Disneynature’s PENGUINS opens April 17, 2019. 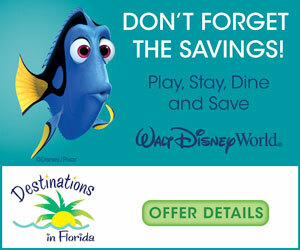 Click here for more photos, news, and images for Disneynature’s PENGUINS. “Part of the journey is the end.” Coming one year after AVENGERS: INFINITY WAR, Marvel Studios’ AVENGERS: ENDGAME gives the answer what happens after “the snap.” Thanos decimated the Avengers and eliminated half the population of the universe after obtaining all of the Infinity Stones. There are still many questions regarding how what’s left of the Avengers and Guardians of the Galaxy will regroup/recover following The Decimation. Both Scott Lang/Ant-Man (Paul Rudd) and Clint Barton/Hawkeye stayed with their families while the events of AVENGERS INFINITY WAR unfolded, and are prominently featured in our first look at the film. AVENGERS: ENDGAME wraps up over a decade of the Marvel Cinematic Universe dating back to the original IRON MAN in 2008. Click here for more photos, news, and images for AVENGERS: ENDGAME. “10,000 years can give you such a crick in the neck!” ALADDIN is the exciting tale of the charming street rat Aladdin, the courageous and self-determined Princess Jasmine and the Genie who may be the key to their future. Directed by Guy Ritchie, who brings his singular flair for fast-paced, visceral action to the fictitious port city of Agrabah, the film is written by John August and Ritchie based on Disney’s ALADDIN. 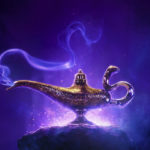 ALADDIN stars Will Smith as the larger-than-life Genie; Mena Massoud as the charming scoundrel Aladdin; Naomi Scott as Jasmine, the beautiful, self-determined princess; Marwan Kenzari as Jafar, the powerful sorcerer; and Navid Negahban as the Sultan concerned with his daughter’s future. Click here for more photos, news, and images for Disney’s ALADDIN. Woody has always been confident about his place in the world and that his priority is taking care of his kid, whether that’s Andy or Bonnie. But when Bonnie adds a reluctant new toy called “Forky” to her room, a road trip adventure alongside old and new friends will show Woody how big the world can be for a toy. The original voice cast returns including Tom Hanks (Woody), Tim Allen (Buzz Lightyear), and Joan Cusack (Jessie), and are joined by Keegan-Michael Key (Ducky) and Jordan Peele (Bunny). Directed by Josh Cooley (“Riley’s First Date?”) and produced by Jonas Rivera (“Inside Out,” “Up”) and Mark Nielsen (associate producer “Inside Out”), Disney•Pixar’s TOY STORY 4 ventures to U.S. theaters on June 21, 2019. 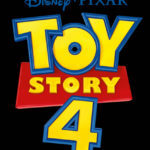 Click here for more photos, news, and images for Disney•Pixar’s TOY STORY 4. Fresh off the success of THE JUNGLE BOOK, Jon Favreau brings his mastery of photo-realistic animated animals to re-imagine Disney’s THE LION KING. Venture back to the African savanna and Pride Rock where a future king is born. Simba idolizes his father, King Mufasa, and takes to heart his own royal destiny. But not everyone in the kingdom celebrates the new cub’s arrival. Scar, Mufasa’s brother—and former heir to the throne—has plans of his own. The battle for Pride Rock is ravaged with betrayal, tragedy and drama, ultimately resulting in Simba’s exile. With help from a curious pair of newfound friends, Simba will have to figure out how to grow up and take back what is rightfully his. 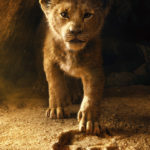 Jon Favreau’s THE LION KING roars into theaters on July 19, 2019. Click here for more photos, news, and images for Disney’s THE LION KING. 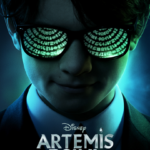 ARTEMIS FOWL follows 12-year-old genius Artemis Fowl (played by newcomer Ferdia Shaw), a descendant of a long line of criminal masterminds, as he finds himself in a battle of strength and cunning against a powerful, hidden race of fairies who may be behind his father’s disappearance. Captain Holly Short (Lara McDonnell), a feisty elf, is kidnapped by Artemis for a ransom of fairy gold. In the underground fairy world of Haven City, Academy Award-winner Dame Judi Dench plays Commander Root, the leader of the reconnaissance division of the LEPrecon, the fairy police force, and Josh Gad (“Beauty and the Beast”) plays Mulch Diggums, a kleptomaniac dwarf, who attempts to help rescue Holly. Click here for more photos, news, and images for Disney’s ARTEMIS FOWL. 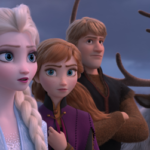 Click here for more photos, news, and images for Walt Disney Animation Studio’s FROZEN 2. 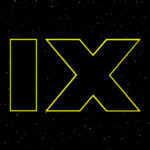 J.J. Abrams returns to direct the final installment of the Skywalker saga. Abrams co-wrote the screenplay with Chris Terrio. Click here for more photos, news, and images for STAR WARS: EPISODE IX. Remember release dates for films are always subject to change. For more family friendly movie news, be sure to follow Adventures by Daddy on instagram, twitter and “like” our facebook page too.